When you reach Indore Airport/ Railway station, meet our representative who will help you transfer to the hotel. Indore is located at the center of Malwa Plateau and it is a place which takes one back to the Holkar Dynasty. So, when you reach, go out to witness a great combination of art and culture of different regions and ages. This combination can be seen through the different attractions of this place such as Central Museum, Gomatgiri, Kanch Mandir, Khajrana and Lal Bagh Palace. Pay a visit to all these places and have a comfortable overnight stay in Indore. Reach Ujjain, have your breakfast and step out for sightseeing. The town is well-known for Kalidasa and it features the most-loved composition, Meghdoot. 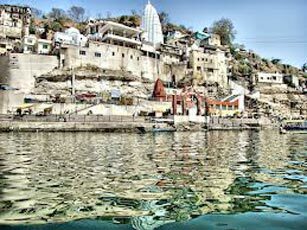 Ujjain is also known as Lord Shiva’s ground where he has the power of the 12 Jyotirlingas. 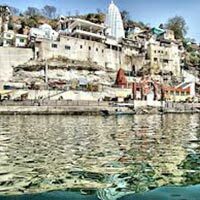 Here, you must visit the Mahakaleshwar Temple, Bade Ganeshji Ka Mandir, Chintaman Ganesh, Pir Matsyendranath, Bhartrihari Caves, Kaliadeh Palace and Vedh Shala. After sightseeing, return to Indore and stay overnight in a hotel. Leave for Omkareshwar which is around 77km from Indore. After breakfast, go for sightseeing at Omkareshwar. The island is shaped in the form of the holy Hindu symbol, ‘Om’ and it is what makes thousands of pilgrims visit here every year. Pay a visit to places like Saptamatrika Temple, Shri Omkar Mandhata, Siddhanath Temple and Kajal Rani Cave. Return to Indore and stay overnight at the hotel. The Indore Gateways tour ends here. You can now proceed to Airport/ Railway station for onward journey.